Simply fill out the questions in the form below and press Submit. You will receive an email asking you to confirm your email address. Click on the YES link in the email to confirm your interest in having an appointment with one of our Financial Advisers. A webpage will open, click Yes I am not a robot and then click Submit. A Wright Financial Adviser will contact you within 24 hours to arrange for your free consultation. This offer is limited to the Auckland & Waikato Regions only. Voucher entitlement is on completion of your first appointment only. Vouchers are personally delivered and are not posted. You have 14 days from subscription to confirm and/or schedule an appointment before you $50.00 voucher entitlement expires. 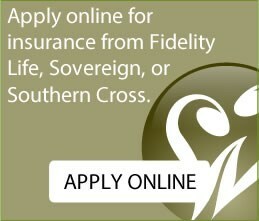 So, fill out the form for free financial, insurance, or home loan advice and a $50 gift card. It’s only for a limited time! Want to protect your house from life’s ups and downs? Rainy-day fund: how big is ‘big enough’? Income Protection or Trauma Insurance: which is right for you? The content of this website is for information purposes only. The content is intended to be general in nature and does not take into account your financial situation or goals, and is not a personalised financial adviser service under the Financial Advisers Act 2008. It is recommended you seek advice from your financial adviser which takes into account your individual circumstances before you acquire a financial product. Full Adviser Disclosure Statement is available on request.